Space is increasing its roles in solving global issues for these years. Global issues such as energy, climate change, environment, food and massive natural disasters are apparent and can be dealt with by no single country. This situation promotes many countries to actively use space systems such as satellite systems, characterized as wide-area, multicasting, and disaster-resistant. On the other hand, the risk of interfering with stable utilization of outer space has become serious. There is the increasing number of countries to utilize outer space for socio-economic and security purposes, while the number of satellites including small or micro satellites, and also space debris. This has become a serious concern for sustainable development of outer space. Under this circumstance, Japan, as is shown in the Basic Plan for Space Policy established in January 2015, should cope with the risk of disturbing sustainable utilization of outer space in cooperation with other countries. 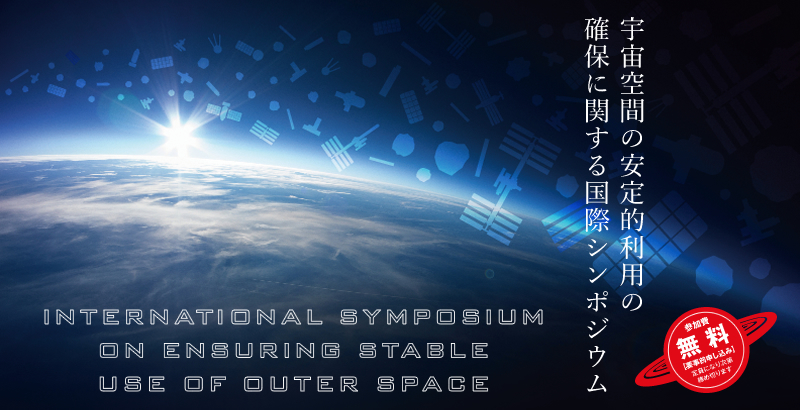 This international symposium aims to contribute to global discussion and enactment of Japan’s effective and efficient space policies on this matter.